Today’s post is by Simon Bowers who owns a holiday apartment on the West coast of Turkey. I’ve been holidaying in Turkey with my wife for almost four years. 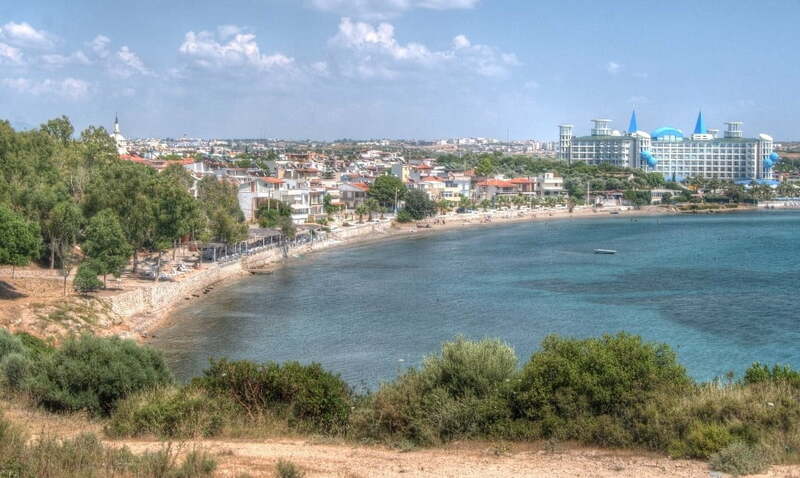 We own a small apartment in a town called Altinkum, Didim, which is about an hour’s drive North of Bodrum airport. Every year that we visit, I fall more in love with Turkey. The people, lifestyle, culture and traditions all fuse to present a unique destination. Anyone who has not been to Turkey is missing out on a memorable experience. 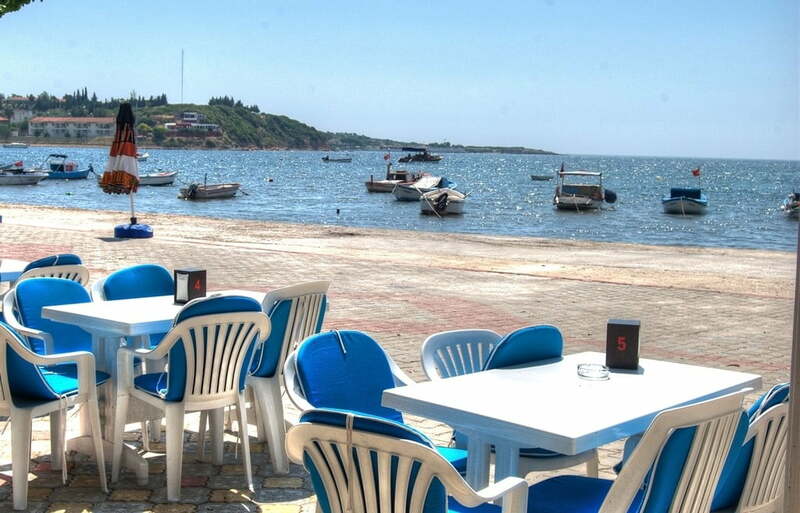 In Altinkum, we have beautiful summer weather, a variety of restaurants offering international cuisine and there are also plenty of things to do. 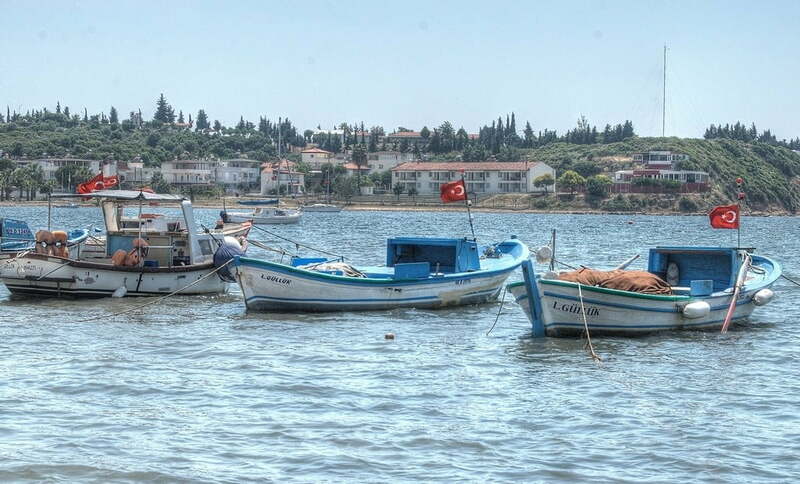 One of my favourite places to head is around the coastline, to a small Turkish village called Mavisehir. 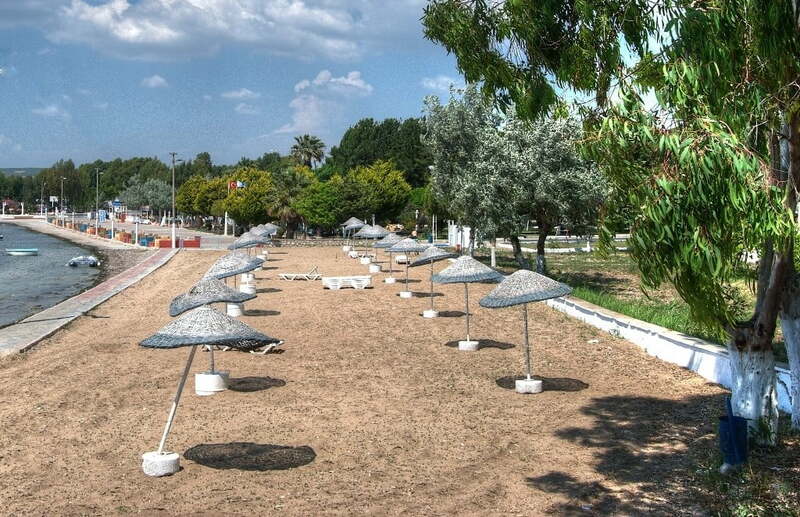 This is the place to be seen in the summer. Stalls sell everything at low prices; clothes, spices, household items; shoes, hardware and souvenirs. The tea shops get very busy and it is not unusual to see young lads running from stall to stall with silver trays laden with tea cups. There are also food stands serving traditional Turkish food such as kebabs, sweetcorn or Gozleme. If you like tasting new flavours, opt for kokoreç; street food consisting of lamb intestine and spices. As much as we love the market, there is also another place to hang out. 300 yards past the market is the harbour; a busy place with simple cafes and a relaxed, laid back vibe. There are about half a dozen places to eat, all seemingly simple establishments, but we’ve had some delicious holiday meals here! The staff, although their English isn’t as good as in the main resorts, are welcoming and friendly. If the cafes are busy, we grab a drink and sit on benches to soak up the vibes. Surrounded by flowery blooming bushes and the sound of water lapping at the harbour edge, we watch small fishing boats bob up and down and people come and go from the long jetties. Occasionally in the far distance, a small cruise ship ambles by, on way to other busier and more well-known destinations. The best part though is the sunset. A glaring hue of red and oranges fill the sky as the sun slowly descends past the horizon. Ask all the locals of Altinkum and they too, will recommend Mavisehir for its vibrant sunsets. To get to Mavisehir from Altinkum, it is only 2 lira on the small dolmus buses and a 30 minute journey. I’ll go back every time we’re in Turkey. The place encourages me to appreciate family moments like I have experienced. What also makes it special is that it’s clearly very popular with locals as well as tourists. This for me is always an indicator on the quality and value of restaurants and sights on holiday. I’m not really a tourist in Turkey, I like to immerse myself as a local, my language skills are improving and talking to local people helps, no matter how much we don’t understand each other! I’ve not found anywhere else that makes me feel at home in Turkey like Mavisehir.